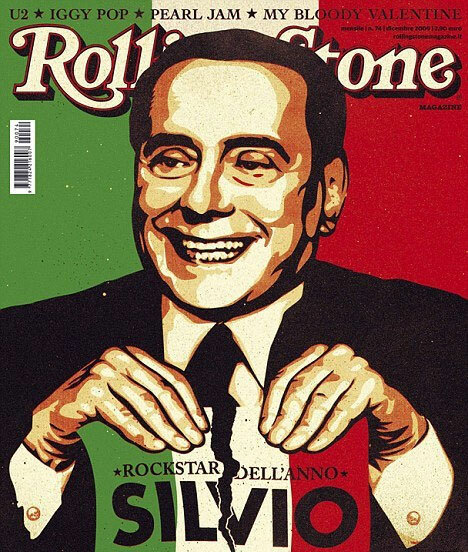 Guido would like to send his warmest congratulations to Silvio for being named Rolling Stone’s “Rock Star of the Year“. The magazine usually covers the goings on of the likes of U2 on tour. It takes a true rocker to still be partying with teenage girls, enjoying lesbian foot massages and pleasuring hookers well into his seventies. He would probably throw televisions out of windows if he didn’t own them all.